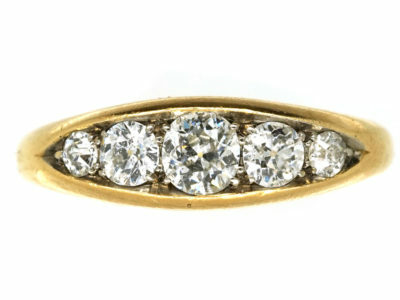 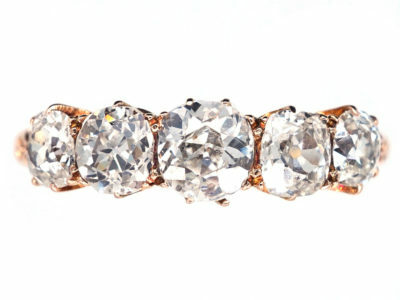 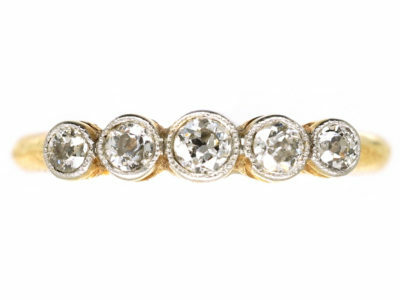 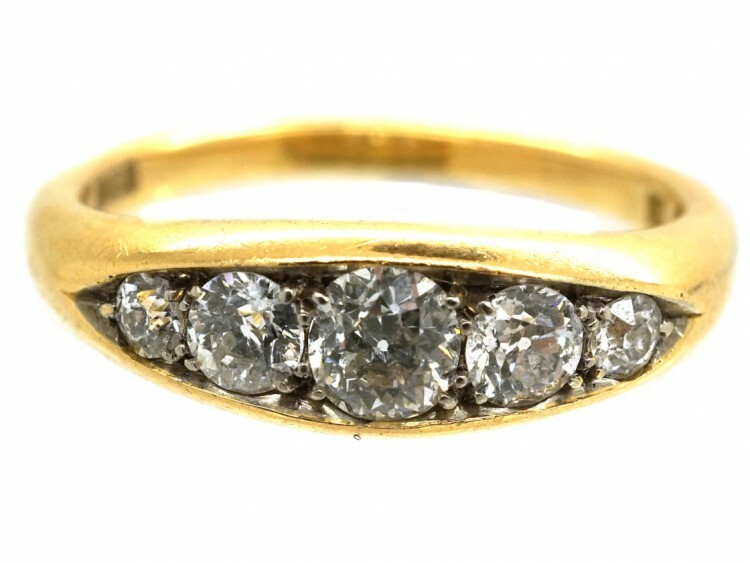 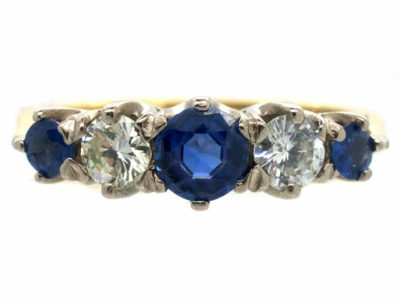 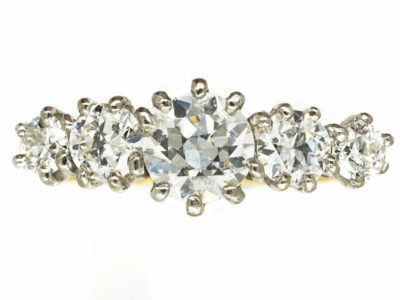 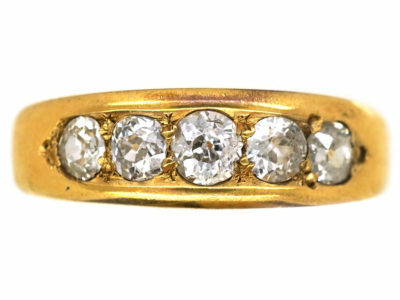 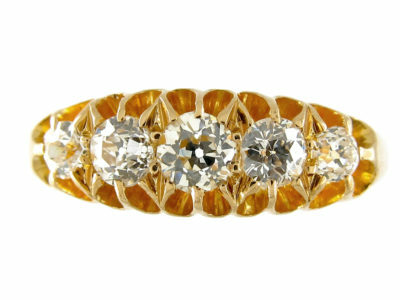 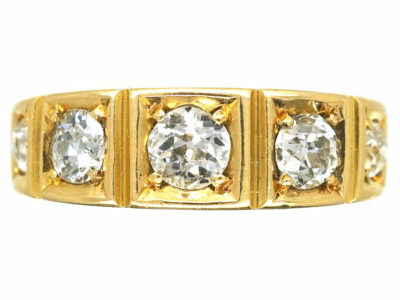 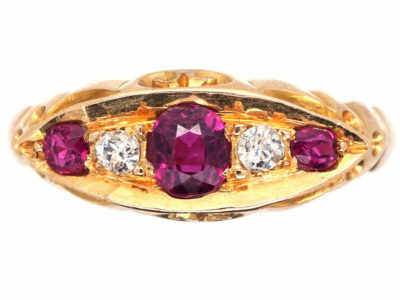 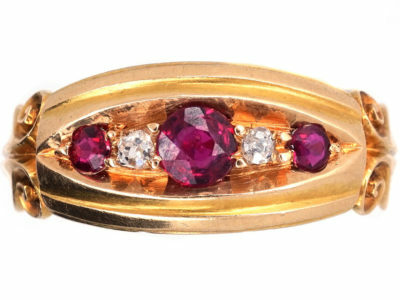 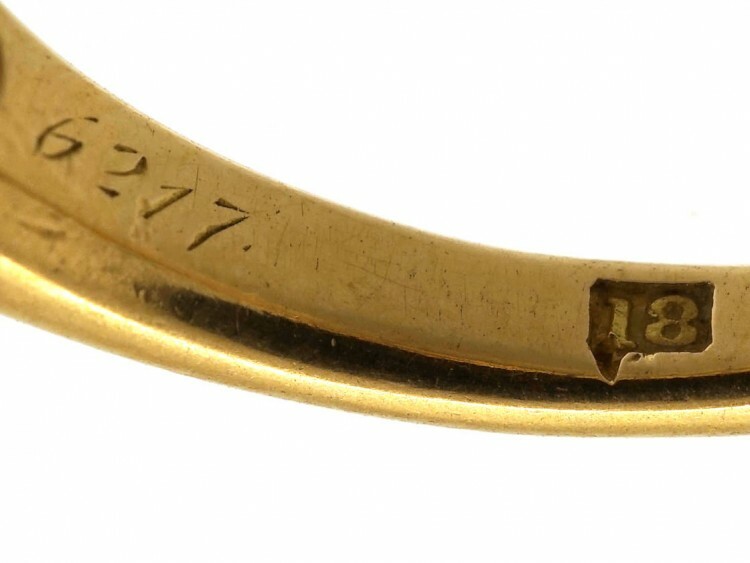 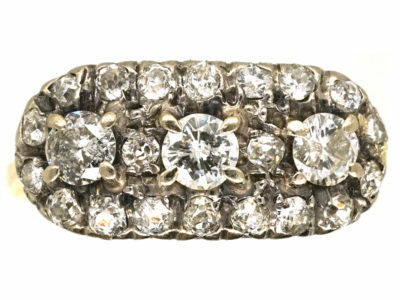 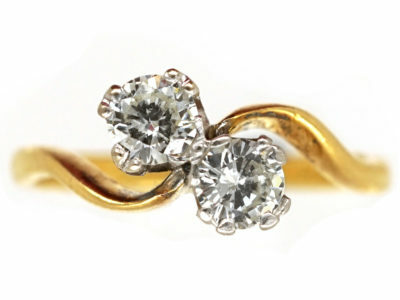 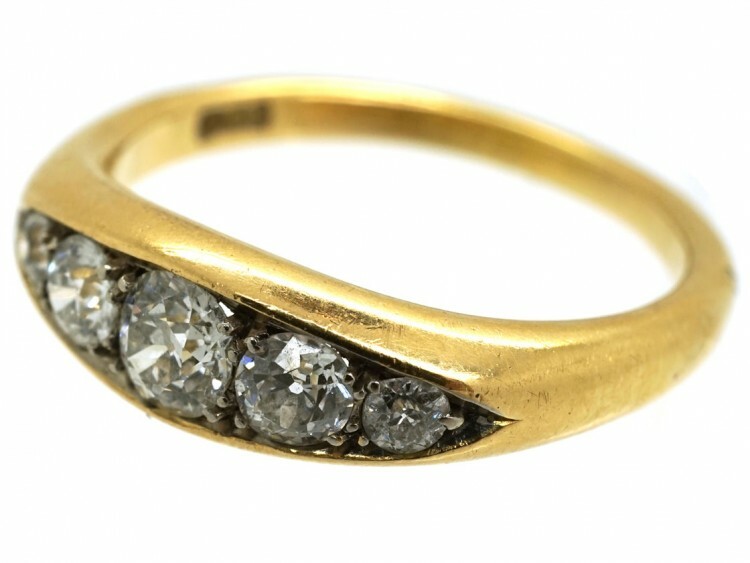 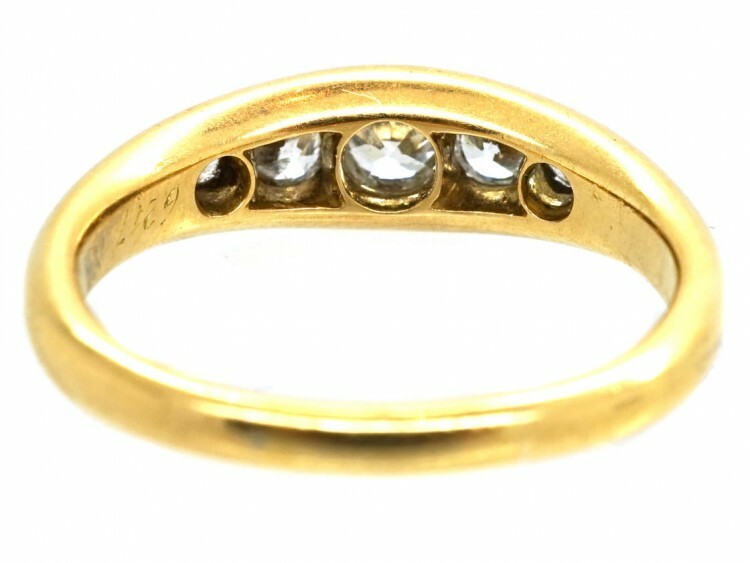 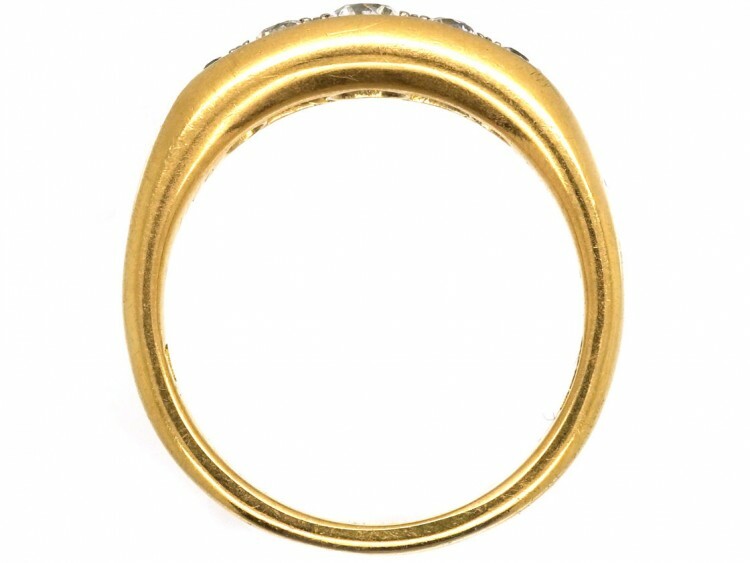 A very good quality 18ct gold and diamond five stone ring. 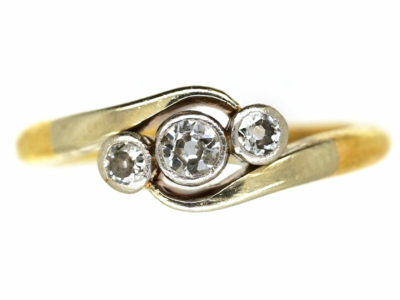 The diamonds are really good clean white well matched stones and are set down in to a boat shaped setting. 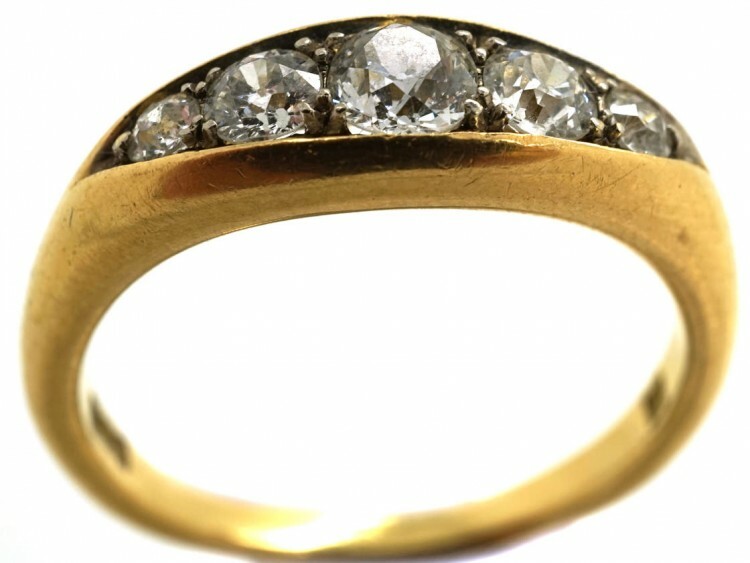 Alabaster and Wilson were founded in 1887 by Arthur Alabaster and Thomas Wilson in Birmingham. 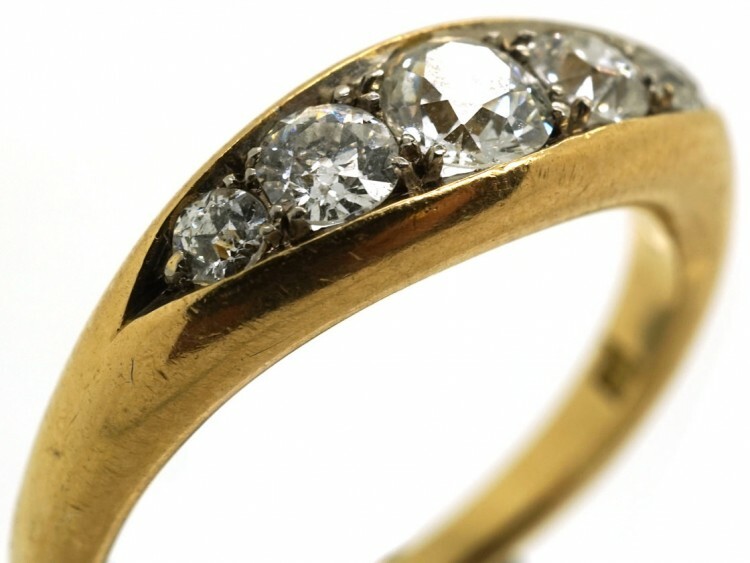 The Company is now run by the fourth generation of the Alabaster family who continue to produce fine jewellery characterised by individual design and high quality craftsmanship.